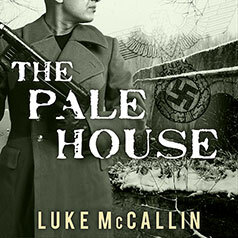 As the Nazi war machine is pushed back across Europe, defeat has become inevitable. But there are those who seek to continue the fight beyond the battlefield. German intelligence officer Captain Gregor Reinhardt has just been reassigned to the Feldjaegerkorps—a new branch of the military police with far-reaching powers. His position separates him from the friends and allies he has made in the last two years. And he needs them now more than ever. While retreating through Yugoslavia with the rest of the army, Reinhardt witnesses a massacre of civilians by the dreaded Ustaše—only to discover that there is more to the incident than anyone believes. When five mutilated bodies turn up, Reinhardt knows that the stakes are growing more important—and more dangerous. As his investigation begins to draw the attention of those in power, Reinhardt's friends and associates are made to suffer. But as he desperately tries to uncover the truth, his own past with the Ustaše threatens his efforts. Because when it comes to death and betrayal, some people have long memories. And they remember Reinhardt all too well.